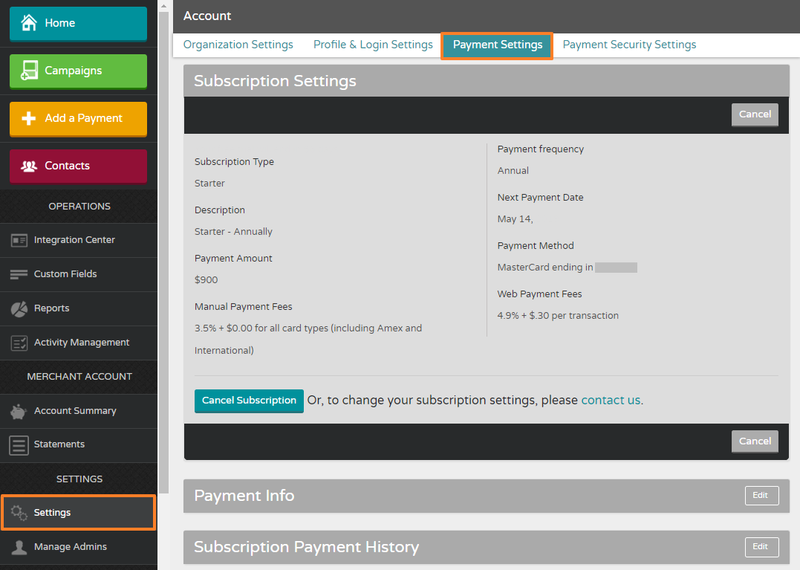 To view your payment info and settings go to Settings > Payment Settings. Here you can see when the next payment will be charged, what method of payment it will be charged to, and the amount and frequency of payment. This is also where you can confirm what the transaction fees are. To change any other settings, please contact us.